Garage door springs can break at any given time, either after long years of loyal service or after a single day if they weren't properly installed or are of the wrong type. Whenever they break, they become a potential safety hazard. We have a few safety tips for garage door owners. The first is to have any old springs replaced. They are the most important aspect of the workings of your door and when they malfunction, you will find that they can become dangerous. You must get a professional serviceman to come in and take care of it before anything bad happens. You should always check the safety cables which are used to attach the springs to the bottom brackets. If you find any sings of fraying or wear, you should call a professional to come out and fix them. If the cables break there is a chance of sudden injury. There are also minor things that can go wrong with your garage door springs. Things such as squeaking are not physically threatening but they can be very annoying. You should make sure to lubricate them if they squeak, if you cannot do this, call a professional. Probably one of the most important safety tips is not a response to something breaking, but the very act of proper installation. People who insist on doing it themselves put themselves in serious risk of injury. You must always have a trained professional install anything to do with the door. It is truly very dangerous. Exercise caution. 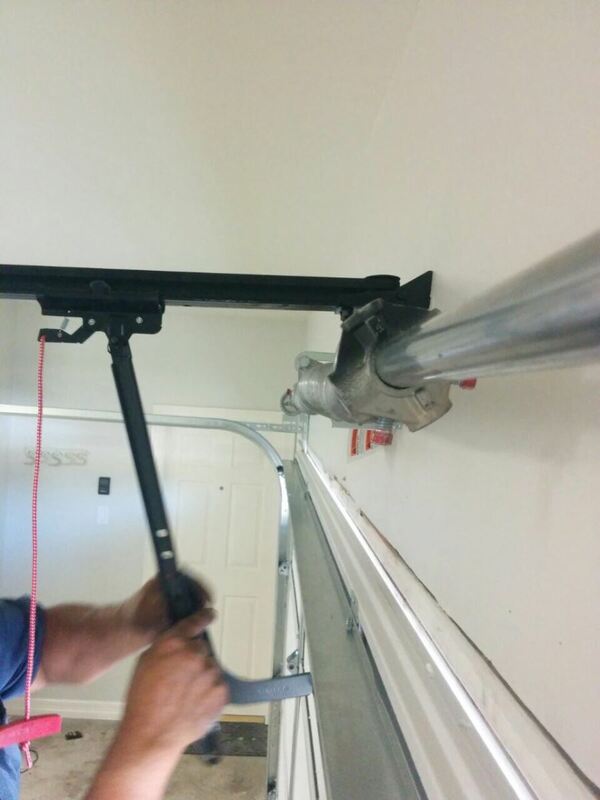 Either if you, your garage door uses extension or torsion springs, a safety cable should be installed with them. This is because when the door is in motion, the springs are put under incredible strain. If this were to snap near a person it could seriously hurt them, so getting a safety cable is a necessary safety precaution.